Q. I want to use a subject-specific database, and not just the general Discovery search on the homepage. How can I do that? 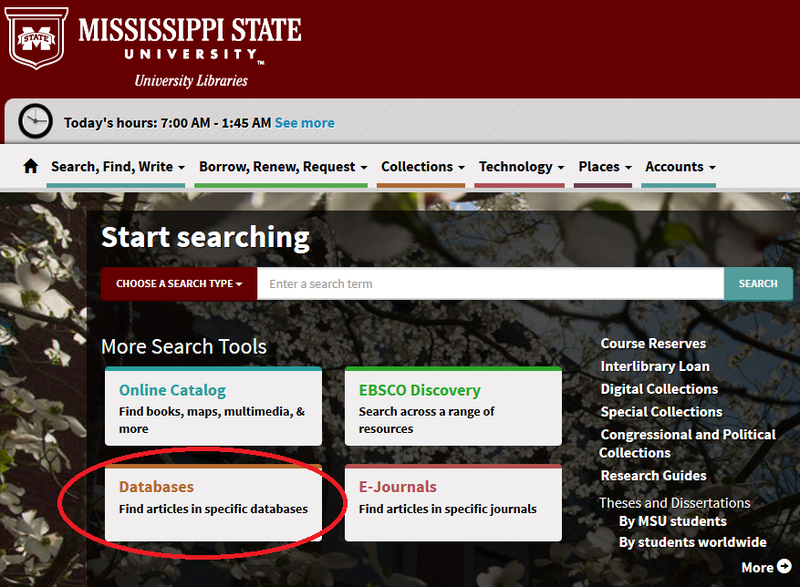 Click on the "Databases" box on the library homepage, http://lib.msstate.edu . If you need help on knowing which database to use for your subject, don't hesitate to ask a librarian or contact your personal subject specialist in the library.